Replacement gasket for your catalytic converter and the muffler. 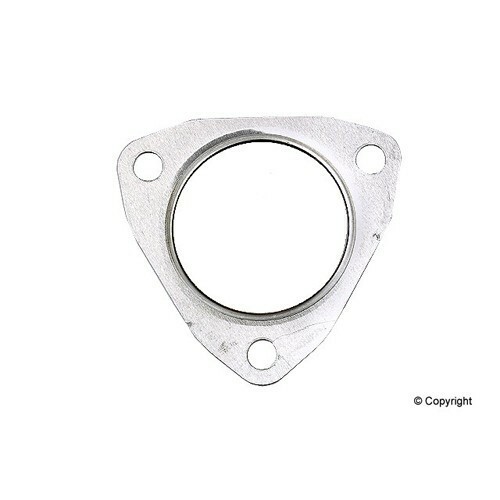 The 3 bolt flange exhaust gasket is the original steel sandwiched type used by VW. The exhaust gasket is used on 1975 through 1979 California Model Standard & Super Beetles between the exhaust cross over pipe and the catalytic converter. It is also used on 1975 through 1978 Type 2 Bus exhaust ports at the heater box. The gasket is sold individually.